Tanti auguri per una vita felice insieme! – Many wishes for a happy life together! Congratulazioni ai nuovi fidanzati! – Congrats to the newly engaged! 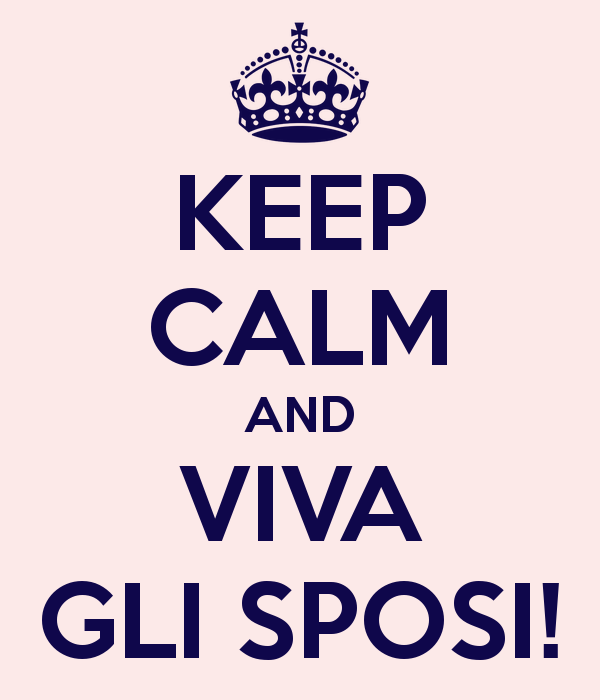 Evviva gli sposi! – Long live the bride and groom!/General congrats! This is a great one to shout to the bride and groom if you see them on the streets of Italy. Tanta felicità – Tons of happiness for your future! So if you’re heading to a wedding in Italy why not try these out and see what happens? I’m sure the Italian contingent will be pretty impressed. If you’d like to learn more, join my beginners Italian class in Didsbury – we cover all kinds of interesting topics and practical Italian you can use in everyday life and on holiday in Italy.